Please click the yellow No. or Part's name. There are many kinds of Kabuto. There are many kinds of Crest, Ohkuwagata is populer. in specific patterns and colors of silk thread. Many of these cords were constructed of well over 100 strands of silk. suit of armour. 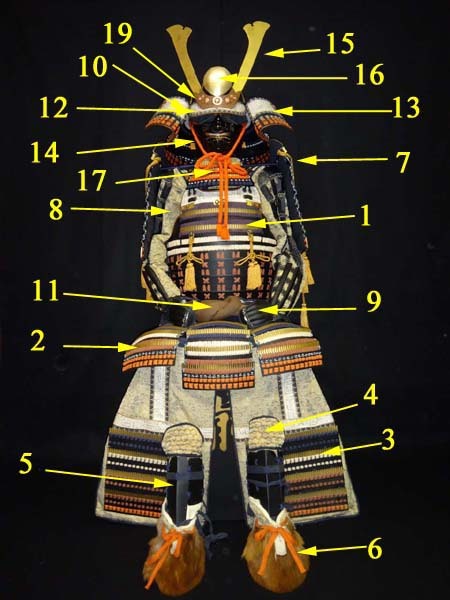 These armor bamboo plates were usually attached to a cloth or leather backing. had many tasks including riding a horse and archery in addition to swordsmanship. 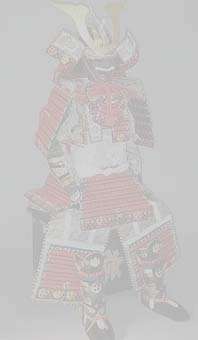 The armour was usually brightly lacquered to protect against the harsh Japanese climate. 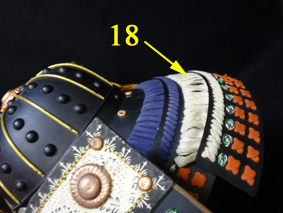 Chain armour (kusari) was also used to construct individual armour pieces and full suits of kusari were even used.